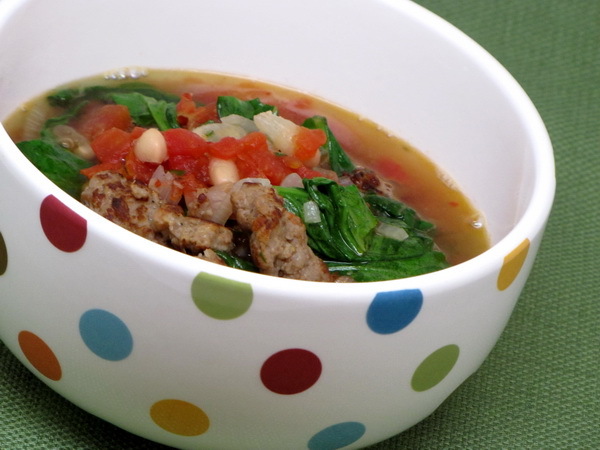 Minestrone meets Stracciatella in this soup full of beans, spinach, cheese and yummy sausage ! 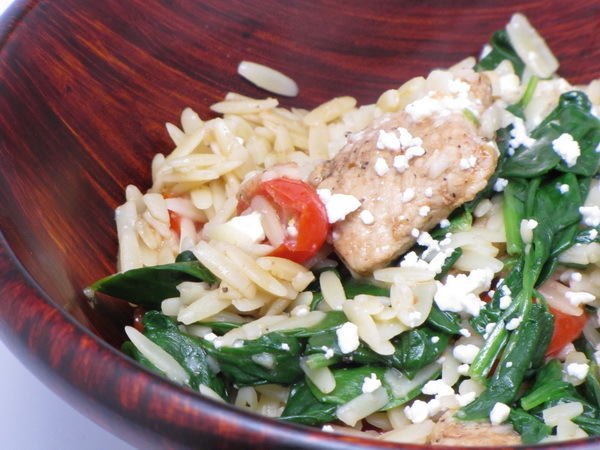 To make this a dinner serving instead, just add some pasta or rice to bring it up to 400 calories. Remove casing from sausage (or buy it without the casing). Spray pan with Pam and cook sausage on high heat until brown stirring to break up the pieces well. Add shallot and garlic and cook 2 more minutes. Stir in water, beans, tomatoes, broth, salt and pepper and cover and bring to a boil. Uncover and cook 4 minutes or until it has thickened up a little bit. 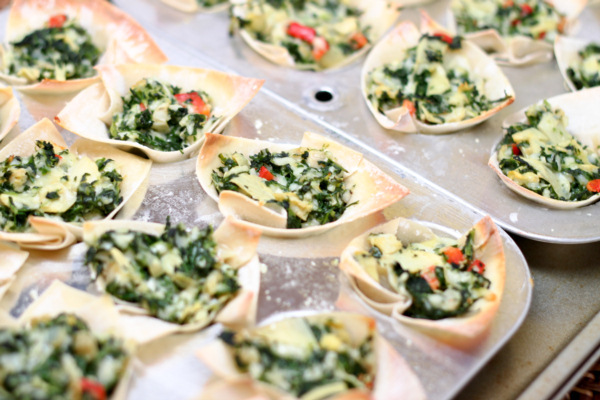 Remove from heat and stir in spinach and basil and then place in bowls and sprinkle with cheese. Trim the serving size by ½ and you have a great side dish or appetizer for just 195 calories. Preheat oven to 375 degrees. 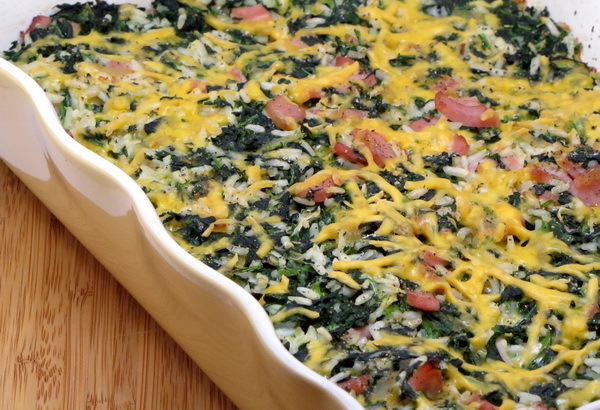 Mix spinach, rice, milk, eggs, ¾ c cheese, salt and pepper. Heat oil in a skillet and cook onion with salt and pepper until onion begins to brown, about 8-10 minutes. During the last 2 minutes, add the garlic, then add broth and cook 4-5 minutes or so then add ham and cook until warm. Combine the 2 mixes and place in a baking dish and top with the remaining cheese and bake uncovered ½ hour. 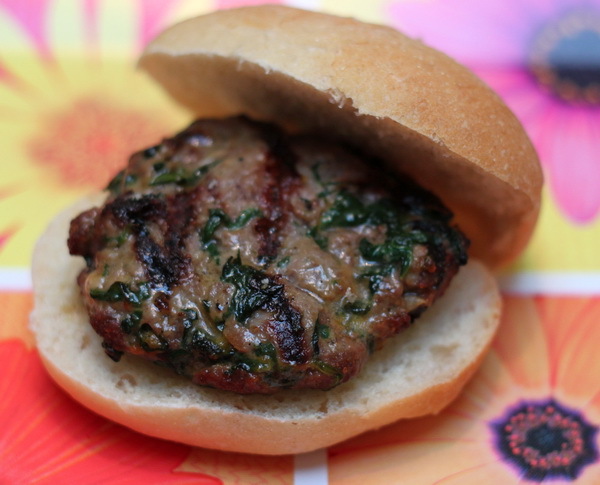 This recipe will make even the most finicky eater a spinach lover. 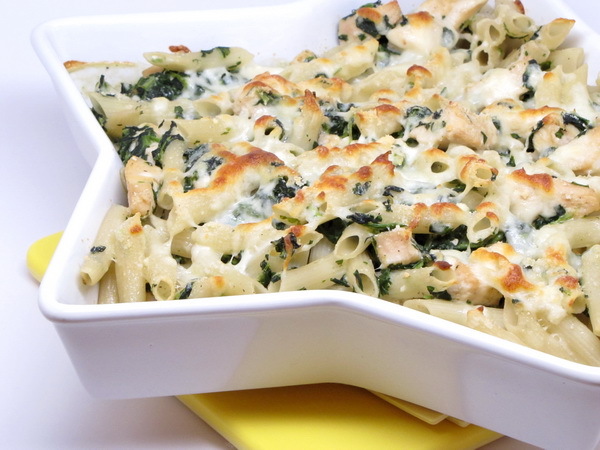 The dish is light and fluffy with loads of cheesy flavor – the spinach flavor is definitely mellowed. Preheat oven to 325 degrees. Melt margarine and cook onion and garlic for 6 minutes. Remove to a bowl and add cream cheese, cottage cheese, salt and pepper and beat with a mixer. 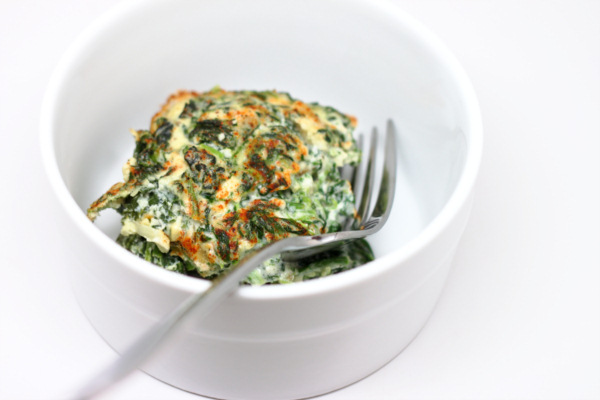 Add the egg beaters 1/4 cup at a time mixing well in between and then mix in the spinach. Spray a 9 inch baking dish with Pam and place the spinach mix in the dish and sprinkle with the paprika and nutmeg then cover and back 30 minutes. Uncover and bake another 15 minutes. 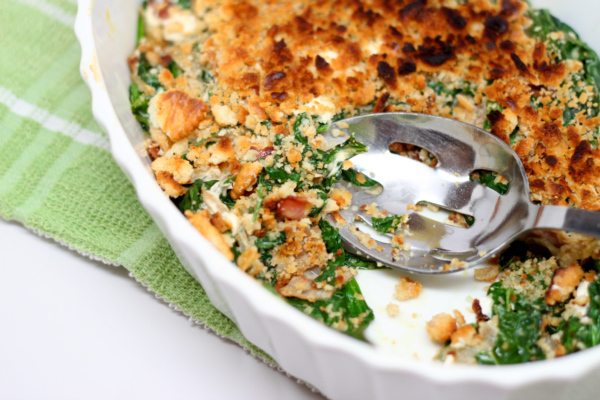 Creamy, cheesy, savory spinach – a perfect side dish to a light fish meal. Preheat broiler. Spray pan with Pam and add onion. Cook 5 minutes adding a couple of tablespoons of hot water along the way if needed to keep the onions moist. Add bacon and cook 3 minutes. 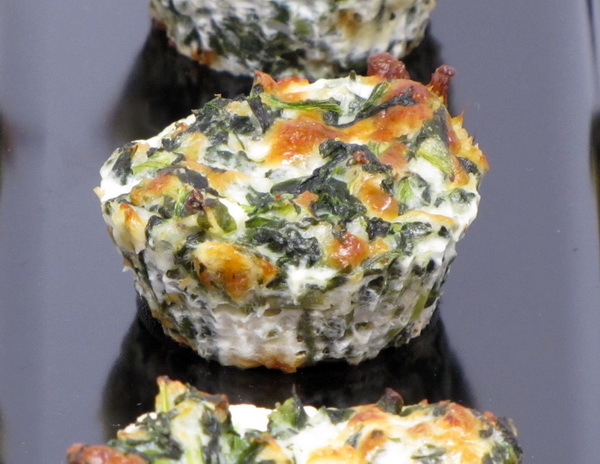 Add spinach and cook 3 minutes to wilt the spinach then remove from heat and add cream cheese being sure to mix well. Turn into a casserole dish sprayed with Pam. Mix crackers, parmesan and butter and sprinkle over the casserole. Broil 2 minutes to brown the crackers. This is a soupy stew or a thick soup 🙂 Whatever it is, it’s absolutely delicious. The sweet fennel adds just the little something different that makes this meal one of a kind. Spray crock pot with Pam. Layer carrots, garlic, chicken, fennel and beans then add broth, water, garlic powder, salt and pepper. Cover and cook on LOW 6-8 hours. 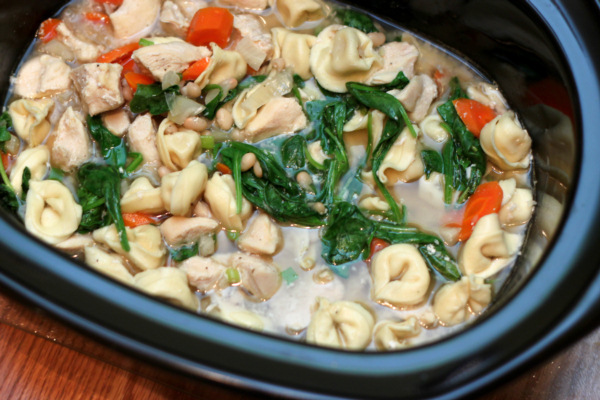 Sit in pasta, spinach, onions and basil then cover and cook on HIGH 20 minutes. Spoon into bowls and garnish with cheese.